A medical helicopter at rest at Parkland Hospital in Dallas. In the swelling rural hospital vacuum, air ambulance companies have grown a lot more important. Medical helicopters increasingly reach deeper into remote areas where ground ambulances might take actual hours to get to. They also take patients from existing rural hospitals—often running on small staffs and are unequipped to deal with major emergencies—to emergency wards in major cities, sometimes hundreds of miles away. But while no one argues over the need for medical helicopters, rural areas or not, they’re not cheap. Not to run, and certainly not for patients who get a ride on one and then get stuck with what’s called a “balance bill.” That’s the share of the air evacuation a patient might be responsible for, even after the insurance copay. While the bills keep coming in and the number of air ambulance companies grows, lawmakers at the federal and state levels are trying to rein in costs through legislation. The problem they’re having is how air ambulance companies are regulated. On the other hand, air ambulance providers say they don’t want to stick people with large balance bills and would like to see some more transparency from companies themselves. But for providers, the problem isn’t so much the regulations on their industry as it is the regulations surrounding the insurance industry itself, and around Medicare. So let’s look at how this all fits together. What’s Happening to Rural Hospitals? In January 2018, Becker’s Hospital Review released a sobering report on the state of rural hospitals. Among its findings is the fact that 26 states have seen at least one rural hospital close since 2010. One of the trouble areas for rural hospitals lies in recruiting physicians or clinicians, says Molly Gamble, editor in chief of Becker’s Hospital Review. Doctors and specialists typically find more—and, of course, more lucrative—opportunities in larger urban areas. Most in danger of closing are the independent hospitals without the “lifelines” networked hospitals have—for example, partnerships that help broaden physician networks and generate referrals, she says. Another problem is the cost of the cutting edge, namely the demands of IT infrastructure investments. “Those can also be difficult to pull off in a way that doesn’t completely cripple the organization’s finances,” she says. Numbers are hard to come by in terms of what hospitals lay out for technology upgrades. But a 2005 report from the American Health Association, cited in a 2014 article by the MarketList, placed median annual hospital capital investment at $7,00,000 and average operating expenses at $1.7 million. And that doesn’t even factor in so-called specialty hospitals that operate in niches like tuberculosis or cancer treatment. So, rural hospitals, unable to keep up with the demands, from basic to boutique, shutter their doors. And that leaves a lot of room for medical helicopters. Particularly privately owned ones. According to the report, 75 percent of air ambulances in operation in the United States today are owned by private firms. But the ability for that growth to have occurred dates back to 1978, when Congress passed the Air Deregulation Act. That’s the bill that allowed air carriers to set rates in a free market. Competition among carriers was supposed to help regulate prices. However, air ambulances got swept up in the ADA. Consequently, air ambulance companies are considered air carriers, not medical companies. That means air ambulances are regulated under the same federal rules that allow major airlines to set rates as they see fit, which in turn means that only an act of Congress can change how air ambulance companies are regulated in what they charge. And that’s what some lawmakers are trying to fix—without, it should be noted, a lot of luck so far. According to the GAO, air ambulance providers reported that medical flight charges increased from $13,000 in 2007 to nearly $50,000 in 2015. 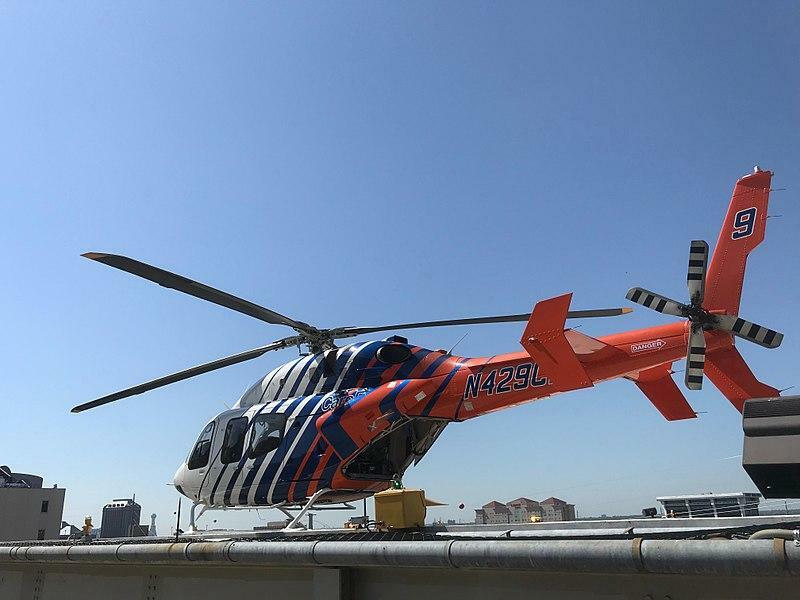 James Swartz, president and CEO of CareFlite, a nonprofit air ambulance provider based in Garland, says operating costs to his company per flight tend to range between $10,000 and $15,000. Helicopter ambulance costs are high for exactly the reasons one would expect—personnel and equipment. Air ambulances need to be fully staffed, with trained pilots and medical professionals, and each flight needs to have more than a dozen people on board to help a patient. Costs are much higher in rural areas, Swartz says, because of the lower number of runs. Less populated rural areas, in other words, means longer times per call and fewer people overall to go get. And most calls are events like heart attack or stroke. That means a huge percentage of providers’ customers are covered under Medicare or Medicaid. And that means less money to the companies themselves. According to the GAO report, Medicare paid an average $6,502 to air ambulance companies in 2016, while the average cost of a medical flight was about $30,000. And under Medicare rules, air ambulance providers are not allowed to balance bill Medicare patients, so whatever Medicare pays a provider, that’s all the provider will get. So just how do providers earn enough income to cover operating costs that Swartz says adds up to about $3 million a year? One way is through memberships. Especially if you live in a rural area, you might have gotten something in the mail selling a membership package to an air ambulance company. In Northeast Texas, the three main private providers are CareFlite, AirEvac Lifeteam, and PHI Cares. The latter two are for-profit. Around the country, numerous privately owned air medical companies offer membership plans, generally for anywhere from $50 to $85 a year, per person. For the price of an annual membership, members will not receive a balance bill. It is, Swartz says, a form of supplemental insurance. One might be tempted to ask how getting small-change membership money from someone can justify the enormous costs of running an air medical operation. But when you add up the amount of memberships these providers sell, the numbers get less strange. CareFlite, for example, has 400,000 members in the general DFW area, Swartz says. AirEvac, the largest private provider in Northeast Texas, claims 3 million members nationally. Many of those members are covered by family plans or as part of group packages paid for by employers, Swartz says. While exact totals for what membership fees bring in can be nebulous, it’s clear they add up to a lot of money for air ambulance companies. But even then, membership fees can’t float the entire operation of a medical helicopter provider. So air ambulance members generally—but by no means always—need to be covered by private insurance that will pay something towards a flight bill. Insurance companies generally pay about 40 percent of an air ambulance bill, which is what providers will accept as payment in full if you are a member of their company. The caveat to air ambulance memberships is, the company you’re a member of has to be the one to pick you up. Swartz says the best way, for now, to hedge against playing air ambulance roulette is to buy as many memberships to as many companies as serve where you live and work. It might cost a couple hundred dollars a year (in the case of the three main Northeast Texas companies, it’s $185 a year), he says, but that’s better than losing your house to a lien for a giant balance bill you can’t pay. Even then, Godfread says, he doesn’t want EMTs on an emergency call—the ones who general make the decision to call in a helicopter—rooting through his wallet to find out what insurance he has. That goes for membership ID as much as which air ambulance providers serve which hospitals, and which hospitals are in which benefits networks; because your insurance might not want to pay if you go to an out-of-network hospital. Swartz’s sentiment about losing your house is not hyperbole. Betsy Imholz, special projects director at the Consumers Union, the advocacy arm of Consumer Reports, recalls a case her office got involved in that almost cost a woman her home. Only bringing media attention on the family’s plight got the company to back off, she says. Godfread says he too has seen balance bills in North Dakotans’ hands totaling as much as $40,000. “You add that on top of the medical bills that are likely coming out of a situation that you need an air ambulance ride, they lead to financial ruin,” he says. The decision to call an air ambulance is not the patient’s. Generally, a person in need of an airlift is in quite bad shape, so the call is made by medical personnel. And whether they call a company you might be a member of is still a roll of the dice. But that’s not exactly as sinister as it might sound. Hunt Regional is one of those rural hospital systems that, though it’s survived, is not equipped for major emergency cases like severe trauma. Saenz says patients are rarely flown into Hunt Regional, but are often flown out to bigger and more specialized care centers, usually in Dallas or Tyler. Saenz occasionally is the one to say a patient needs a helicopter to elsewhere. But if the patient is a member of Ambulance ABC, there’s no guarantee that ABC will come. It might be because the company is already on another run, or is down for a day of preventive maintenance. Or, a provider might be grounding the air crew for fatigue. Air ambulance companies are on-call 24/7, but it’s not the same crew working nonstop, of course. “If any one of the three [crew] feels like it’s a safety issue due to crew fatigue, they cannot take a call,” she says. Crashes among air ambulance companies are a major and growing concern. In 2008, The National Transportation Safety Board named EMS pilot as the most dangerous job in the United States. A 2017 report by the FAA shows that air ambulance crashes declined annually between 2013 (146 crashes, 30 fatal) and 2016 (106 crashes, 17 fatal). For comparison, in 2015, the trade website EMSWorld reported that ground ambulance crashes average 29 a year, claiming 33 lives. All that said, medical crews generally try to be accommodating, Saenz says. To reiterate, no one has it in for air ambulance providers. Lawmakers and industry watchdogs, in fact, will go out of their way to say how valuable medical helicopters are. The problem among lawmakers is that air ambulance companies charge some patients crippling amounts of money, because they can. Remember, these companies are regulated by the FAA as air carriers, so they can charge what they see fit. Also, most air ambulance companies are private companies. That means that although their operations are protected at the federal level against state-level rules, private air ambulance companies don’t have to file reports the way government or public agencies must. This lack of transparency in the industry is a major concern for lawmakers and the GAO, whose report is actually titled “Data Collection and Transparency Needed to Enhance DOT Oversight.” But it’s also a concern within the industry, judging by how “selected stakeholders” in air ambulance companies responded to something the GAO asked. The question was whether the U.S. Department of Transportation should increase data collection “for investigations and/or increases pricing transparency.” Eleven of 15 said yes. None said no. At the lawmaker level, an effort is underway in the U.S. Senate to open the doors on private air ambulance companies. Senate Democrats Jon Tester of Montana and Claire McCaskill of Missouri (both unavailable to comment for this story) are currently pushing to exempt air ambulances from the Air Deregulation Act. Across the aisle, Republican Dean Heller of Nevada has been attempting to up Medicare reimbusements to air ambulance flights. That bill was introduced in 2017 and was cosponsored by Republican Sen. Cory Gardner and Democrat Sen. Michael Bennet, both of Colorado The measure is intended to ensure access to rural residents, regardless of their condition or financial status—something of a selling point to rural folks, given that rural Americans are less likely to be insured. Over in the U.S. House, U.S. Representative Rob Woodall, a Georgia Republican, is right now shopping legislation aimed at creating greater transparency in private air ambulance company reporting. But something federal bills, regardless of chamber or party, have in common is that lawmakers want to give states more control over rates. Some states, like North Dakota and Montana, have tried to rein in air ambulance companies. But their efforts were quashed by federal courts that said states couldn't make rules governing a federally overseen industry. Other states, like Texas, have tried to bring down rates by finding ways to fund air ambulance companies by bolstering Medicare. State Rep. Jon Zerwas (R-28th) had a bill in the 2017 session of the Texas Legislature, but it eventually fizzled out. Zerwas wants to take five dollars from every traffic fine in the state and apply it towards a Medicare payment fund that helps air ambulance companies weather the times they don't get paid. Zerwas says his bill – which he plans to put back on the 2019 State Legislative agenda – is meant to relieve burdens on Texans while helping a necessary business stay in business. While lawmakers try to hammer out a way to rein in air ambulance costs and practices, Rick Sherlock, president of the Association of Air Medical Services, a Washington, D.C.-based trade organization whose membership consists mostly of privately owned air ambulance companies, says his organization supports efforts for greater transparency and increased Medicare reimbursements. Roughly another quarter are Medicaid patients, Sherlock says. Both are populations that pay extremely low, if any, amounts towards an air ambulance bill. So with the balance falling upon the insured, the costs to help buoy an expensive business like air medical services are not evenly distributed. Sherlock says he would like to see legislation address the root cause of the problem, namely this imbalance. For James Swartz at CareFlite, the root problem is not transparency or reporting, it’s the way healthcare benefits operate. In Texas, which is one of 17 states to have not expanded its Medicare program, he says, the undue burden falls squarely on those with healthcare benefits. One is insurance, he says. The other is Major League Baseball. And to fix the problems with air ambulances and the high costs involved for everyone, that exemption needs to be rethought. Barring a seismic shift in public policy, the solution could be what the GAO (and Rick Sherlock) are calling for—better transparency. What Sherlock is not a fan of is legislation aimed at putting greater control in states hands, i.e., bills like the McCaskill bill looking to exempt air ambulance companies from the ADA. Sherlock says such efforts to put air ambulances under state controls will create a “patchwork” of regulations that will make crossing state lines with patients—which 30 percent of air medical flights do—harder, he says. This, he adds, puts a lot of weight on patients at a time when they should be concerned with getting through a medical crisis, and not about bureaucracy. consider air ambulance consumer disclosure requirements.